Don't spend all your time programing quizzes for your website, we are sure that Quiz Press can generate them just as you need. 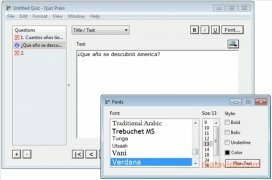 This software allows you to generate extremely complete quizzes, with all kinds of contents and with a very simple interface. Any question is a lot easier to understand if it comes with an image, with Quiz Press you will be able to associate any JPEG, GIF, PNG, PDF, PICT, BMP or TIFF, among others, with each question. It also offers you the possibility to add a video in FLV format and music in MP3. What's more, there is no problem when it comes to editing any of the questions however we want: amount of answers, possibility to select several answers, change the font or the size of the text, allow writing an additional answer, true or false questions, print tests,... 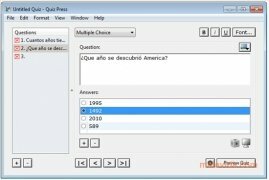 Anything you can think of can be done with Quiz Press. Once we have a survey completely edited and finished, we will be able to preview it in our favorite browser, so that we can see how it works. 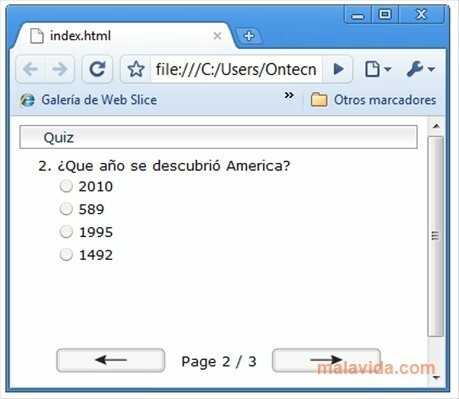 All in all, this software will be the perfect help for those people that want to run an online quiz or want to write a questionnaire without having to worry about programing. This download requires a ZIP compatible compressor. 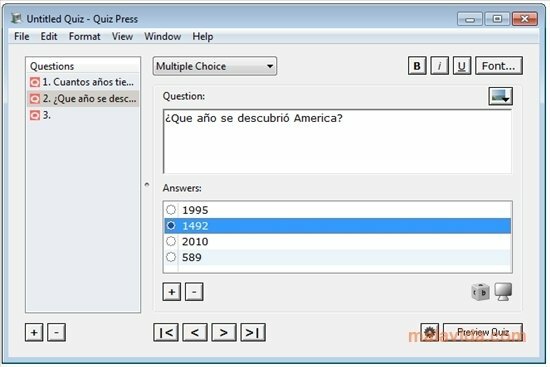 The demo version only allows you to create quizzes with five questions.